Manatee County students at eleven schools will study the issues surrounding our freshwater resources thanks to Splash! school grants from the Southwest Florida Water Management District (SWFWMD). The goal of the Splash! 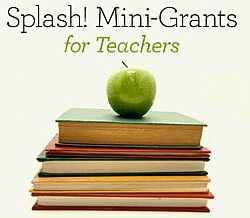 school grant program is to provide teachers with funding to enhance student knowledge of topics that meet the District’s core mission and teach students about their local watersheds, water conservation, quality and supply. Splash! school grants provide up to $3,000 per school on a reimbursement basis and are available to public school teachers. This year, 94 Splash! grants were awarded across the District’s 16-county region to educate students on water resources. Past Splash! grant projects include student monitoring of local water quality, environmental field studies and school or community outreach campaigns designed to encourage water conservation.